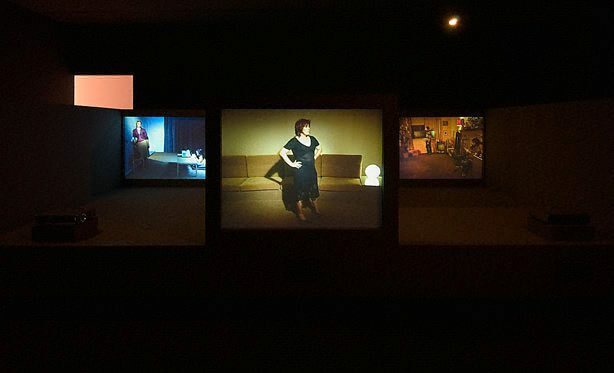 David Rosetzky’s single-channel videos and video installations consider how we represent our lives to ourselves and how our experience of self is affected by relationships with others. 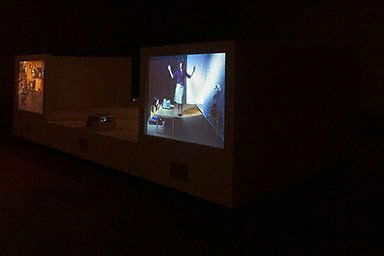 In ‘Untouchable’ we look into three rooms whose inhabitants speak about an emotionally charged experience that is preoccupying them. Each speaker narrates, in voice-overs and out loud, thoughts that seem at least initially to refer to the other person in the room. However the relationship between the protagonists becomes increasingly ambiguous as speakers on different screens start to say each other’s lines. Each monologue seems to tell us as much about the person speaking as it does about the person being discussed. 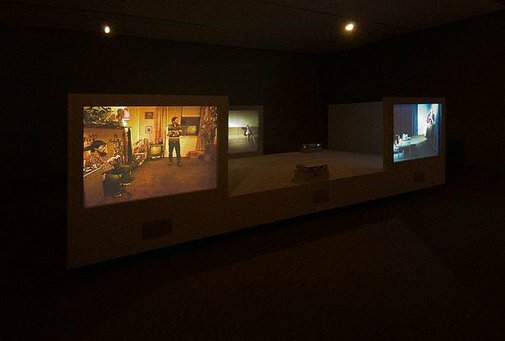 Yet the familiarity of the emotions and situations and the swapping of narratives suggest that these experiences are not unique and contribute to a sense of communality between the speakers and ourselves. As anthropologist Marc Augé has observed, ‘any representation of the individual is also a representation of the social link consubstantial with him’.1 At the same time the narrative interchange is disconcerting, recalling the over-familiar way in which personal events are discussed publicly on daytime TV, where the same experiences seem to appear again and again on different talk shows. ‘Untouchable’ also recalls the genre of the self-revelatory pop song as it traverses a similar territory of confidence, anxiety and optimism. This comparison is reinforced by the sudden change of the ambient soundtrack into up tempo beats and the narrators’ simultaneous shift into a choreographed dance sequence. At this point the dancers are looking directly to the camera/audience, seemingly to address us. 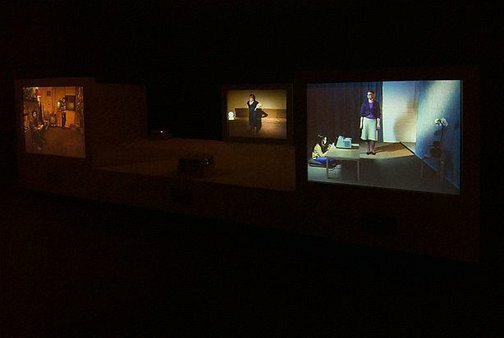 However it is also the moment when we may feel most distanced from what we are seeing as the video shifts from the visual cues of a stylised realism into a more deliberately artificial sequence. Yet anyone who has grown up with MTV knows that choreography can embed you further, not leave you outside, as sound and image combine with a highly contrived movement to achieve an almost physical identification with what is on the screen. The title ‘Untouchable’ suggests that we remain distanced despite any empathy we may have for the protagonists, echoing the protagonists’ own inability to connect with each other. This distance reflects the uncertain relationship between our contemporary drive to individualism and our desire for communality, for a sense of meaning achieved through belonging and interrelationships. While the title ‘Untouchable’ situates itself between unapproachable desirability and undesirable isolation, the work traces out the nuances between these meanings. It seems to suggest that the performative nature of our own lives and the anxious self-fashioning that we undertake can leave us caught in a similar hiatus between distance and connection. This is perhaps the inevitable correlative of a tendency to construct a sense of self through narratives in which we are the chief protagonist, which can leave us on the outside looking in at our own lives as they unfold.